A 2003 report by Radio Free Europe (and reposted by The Pars Times) points to the increasing number of women attending college in Iran. At some universities more than 60% of the entrants are women. All told, [women] currently make up some 10 percent of the work force. But with women comprising 60 percent of all university students, that number is set to grow dramatically. Dr. Peyvandi says it is a historic change. "In the early years of the revolution, about one-third of the women who were working were laid off by the new regime. Now, instead of those female office workers and secretaries, Iranian women are returning as factory engineers and specialists," he said. "So in fact, Iran's labor market is facing an influx of female specialists who can replace men, and with the very male-oriented structure of Iranian society, this is a big change. 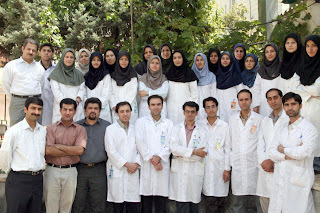 In Iran there is now a labor force made up of women specialists that never existed in Iranian history." The Education Ministry has even suggested a quota system for men in programs with a high percentage of female students, like medicine. This influx of educated women into the workforce has spurred some social changes, with couples marrying later and having fewer children. That's not to say that there have not been obstacles: the changes are decried by social conservatives who see a "threat to traditional values", while the high rate of unemployment leaves many university-educated women (and men) jobless.